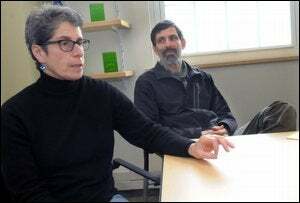 Valerie Barr, a professor of computer science at Union College, decided last summer to take a leave of absence to join the National Science Foundation and help improve science education among undergraduates. But when a background check revealed her involvement in left-wing groups 30 years ago, she was told to leave. News of Barr's dismissal comes three months after a respected policy analyst was fired from the Los Alamos National Laboratory following complaints about an anti-nuclear article that he had written. And, now according to a report in ScienceInsider, Valerie Barr's colleagues worry that her experience will have a chilling effect on efforts to recruit other scientists under the Intergovernmental Personnel Act (IPA)—which allows academics to temporarily work for NSF without quitting their existing jobs. At the center of the story is the Office of Personnel Management (OPM)—a federal agency that wields tremendous authority in vetting recently hired government employees. In the case of Barr, the OPM declared her to be guilty of "dishonest conduct," because she allegedly lied about connections to a domestic terrorist group. Nobody was more surprised to hear about that than Barr herself. She says that, when she was 22-years-old, she was a "worker bee"—handing out leaflets and baking cookies—for two organizations, the Women's Committee Against Genocide and the New Movement in Solidarity with Puerto Rican Independence. Federal investigators say those groups were affiliated with a third, the May 19 Communist Organization (M19CO), which committed a series of violent crimes, including the killing of two police officers and a security guard during a failed 1981 robbery of a Brink's truck near Nyack, New York. Barr's first background interview was held in November 2013, 3 months after she began working at NSF. During that session, Barr answered "no" when asked if she had ever been a member of an organization "dedicated to the use of violence" to overthrow the U.S. government or to prevent others from exercising their constitutional rights. Five months later, in April, Barr was summoned to a second interview…..
After again being asked if she had been a member of any organization that espoused violence, Barr was grilled for 4.5 hours about her knowledge of all three organizations and several individuals with ties to them, including the persons who tried to rob the Brink's truck. …. "I found out about the Brink's robbery by hearing it on the news, and just like everybody else I was shocked," she recalls. But OPM apparently thought otherwise, again citing her "deliberate misrepresentation" in its report. Relying heavily on that investigation, NSF handed Barr a letter on 25 July saying that it planned to terminate her IPA at the end of the first year… Barr maintains that she had been truthful throughout both interviews, and that "there was no material fact about these organizations for me to omit." Barr says she was casually acquainted with two of the convicted murderers….but had no prior knowledge of their criminal activities. If OPM recommends that a person is unfit, the agency will follow that recommendation, period," Sheldon Cohen, an attorney who specializes in security clearances, told ScienceInsider. "Agencies have the authority to reject OPM's recommendation, but they don't exercise it, ever." He speculates that the Edward Snowden fiasco, which began in June 2013, might have been a factor in NSF's decision: "If it's a matter of weighing the employee's statement against what the investigator says he has found, agencies will resolve it in favor of national security." In the meantime, Barr (left) has resumed teaching at Union College. But she remains concerned—not for herself, but for others in the community. "We volunteer to do this," she wrote NSF Director France Córdova. "NSF runs the risk that many highly qualified scientists will not even consider serving as IPAs. That will be a tremendous loss."